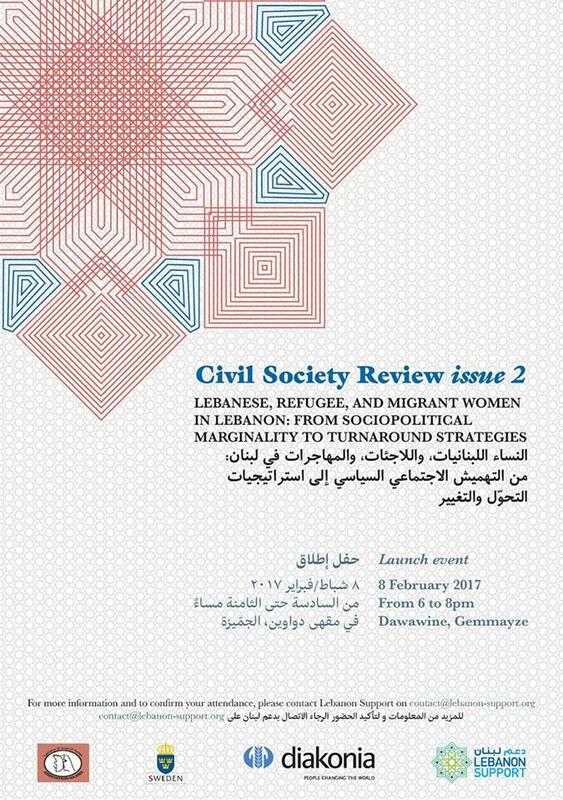 The Civil Society Review is the 1st peer-reviewed journal in Lebanon focusing on civil society and public action issues. Published yearly, it features papers in English, Arabic and French. This issue was published in collaboration with Diakonia and Najdeh Association, and is part of our Gender Equity Network project on the Civil Society Knowledge Centre. View the preview of this issue here. Within this launch, Lebanon Support organised on the 19th of April, at its new office, a talk to discuss this issue of the Civil Society Review.